Subtle is not a word you would use to describe the breeding plumage of the male wood duck, but the light in the shade muted the colors of both the duck and the reflections of the fall color in the water. 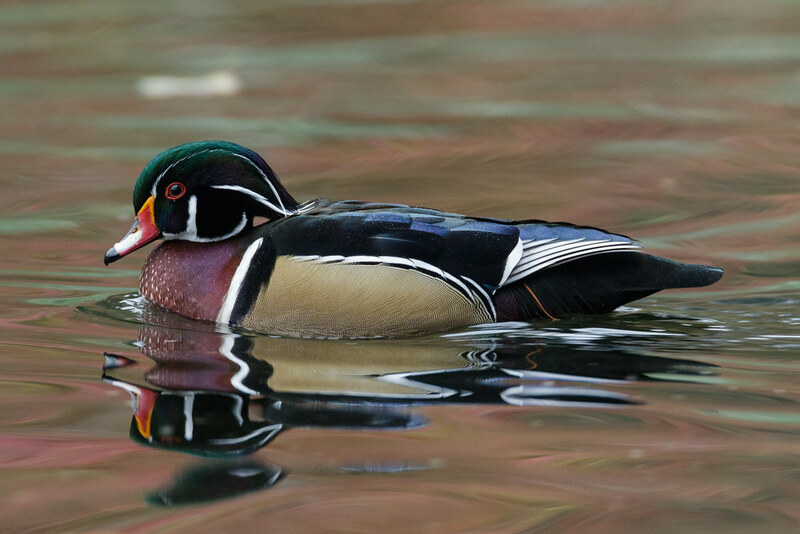 A wood duck drake in all his colorful glory swims near the trees at Crystal Springs Rhododendron Garden in Portland, Oregon. On a sunny afternoon, this seemingly happy wood duck raised his head to stretch before resuming preening some of the hard-to-reach areas. 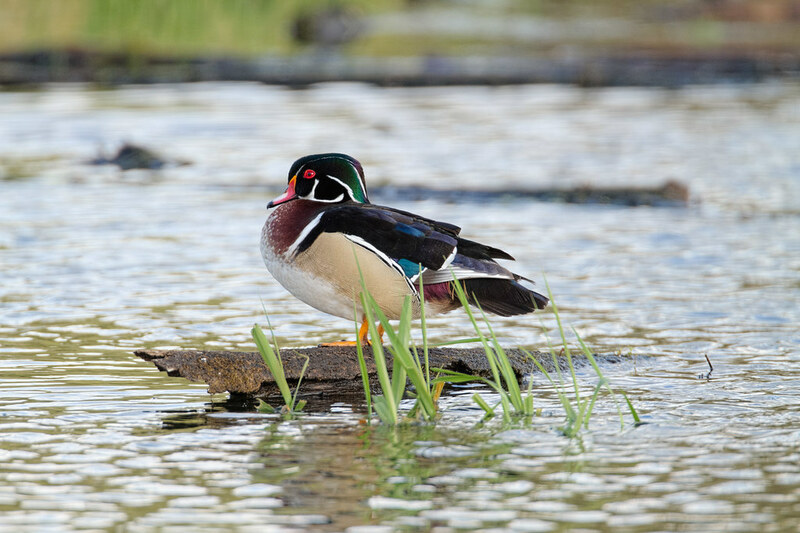 I don’t often see wood ducks in this part of Long Lake so it was a treat to watch him. Five minutes later the clouds rolled in and changed the lighting as he paused during his preening ritual. I love shooting on both sunny and cloudy days and on this day got to do both frequently, but the constantly changing light levels made it challenging to correctly meter the scene and I often didn’t keep up fast enough. 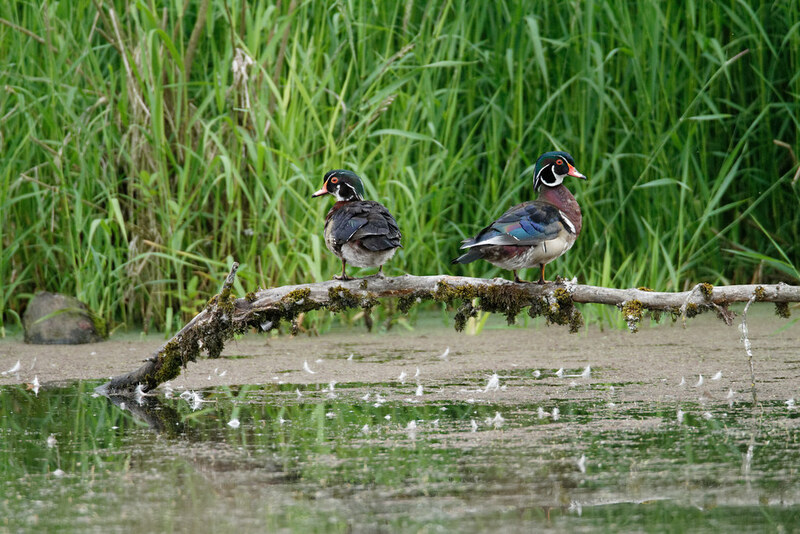 A pair of male wood ducks take a break on a fallen tree in Bower Slough. I don’t even know how it happened. 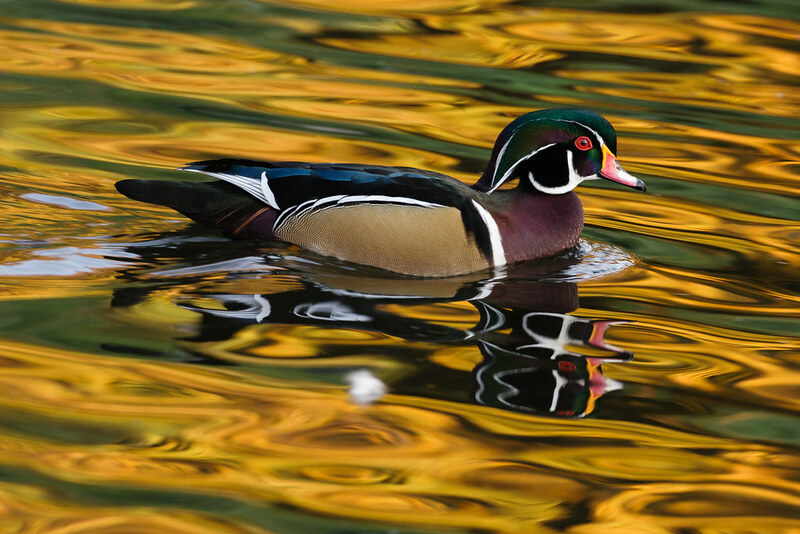 I was happily photographing ducks back in the fall when I pointed my camera at the confluence of yellow and green reflections and suddenly a white spot appeared in the water and I felt the universe start to come apart at the seams. 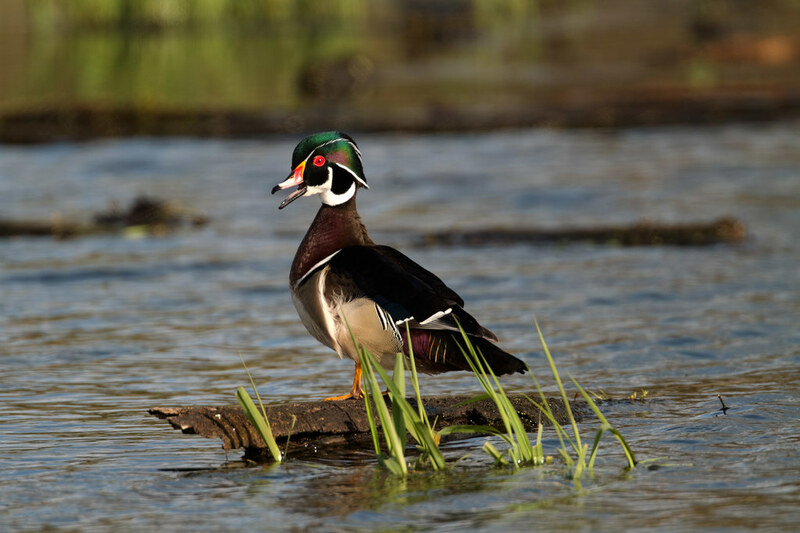 This wood duck drake swam by and its wake seemed to close the disruption and life as we know it was spared. 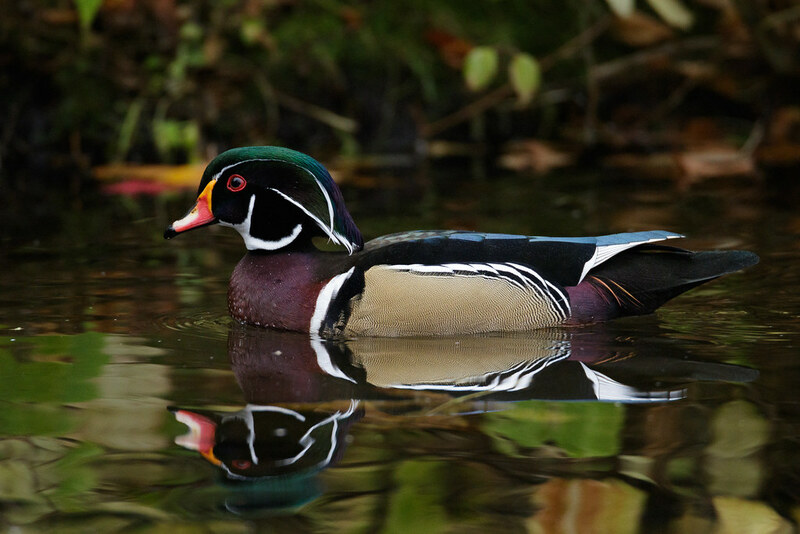 All hail the mighty wood duck, silent guardian of all that we hold dear.